Cream Bea Lace Dress 10604100. Beautiful summer dress with 3/4-length sleeves in a gorgeous soft viscose fabric. 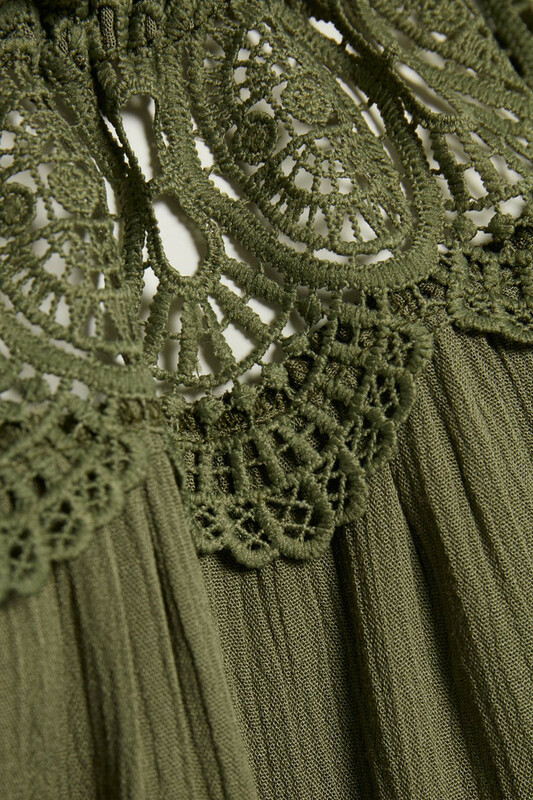 The dress is available in three current summer colours and, with its beautiful lace details, is a true summer boho style. Perfect for everyday wear and special occasions, try styling it with a belt for a more fitted look. Below-the-knee length.